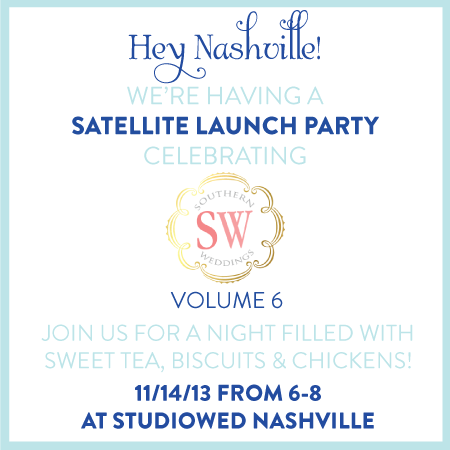 Taken at the Southern Weddings V6 Launch Party in Nashville last week! self care | Surprise, surprise... I have not even REMOTELY improved on this arena in my life. BOO! While I may have drunk more water and gotten dressed a few more times a week... my diet and exercise routine are lacking, I haven't had enough salad, and I definitely haven't practiced enough yoga. I went to the doctor last month to see about my body craving 10 - 12 hours of sleep nightly, expecting to hear that my iron levels were low, but when I finally got my bloodwork back, everything's totally normal. My need for sleep is just my body's way of telling me that I could be doing a better job taking care of myself. STRUGGLE. Since this time of year tends to get so crazy and Christmas cookies abound, I need to be SPECIFICALLY intentional until the next check-in, drinking 2 canteens of water daily. Going to 3 - 4 yoga classes weekly. Eating healthy food (salad, soup, vegetables -- less dairy, bread, sugar). Sleeping 8 hours a night (going to bed EARLY), no more no less. I'm sure my clothes will fit better, I'll feel better, and my quality of life will improve exponentially when I start to do that. home environment | Right now our upstairs is mass chaos with boxes and storage. Especially with the Christmas decoration upheaval, everything is in disarray. I HAVE to get super organized to stay sane this holiday season. Goal: PARE DOWN again. Declutter. Donate. Create working systems. Clean above the fridge. Organize storage and office things. relationship | It's been so fun spending time with Drew lately! With him traveling so much in the weeks to come, we need to continue to be intentional with our time together. I need less instagram and laptop time, more face-to-face conversations and hand holding. Special goal: Organize and deep clean with a working system so that the house is welcoming and a calm environment for Drew when he gets home! SO important during these chaotic times! friends & fam | We have done better in this area! We went on a double date, saw friends a couple of times to celebrate Halloween and birthdays. I've been walking with my friend Jamie and enjoying the pretty fall weather. We're going to see family for Thanksgiving and host our own mini Tgiving this upcoming weekend, so things are looking up! Goal: Plan a holiday party! Everything's already decorated -- why not enjoy it with friends?! career | Keep trucking. Goal: Knock out fun inspo shoot. Continue to work hard on the Design Life Project e-course. Figure out what I need to make happen and make it happen. fun & rec | So many fun things to come for the holidays! I have lists upon lists. cause or purpose | Volunteer! Find ways to give back for the holidays!!!! Spread God's light!